For the first few months of retirement, most NYSLRS retirees will receive partial payments while we finish calculating their final benefit. (We need to collect information on final payments and pensionable leave credits from their employers, a process that can take some time.) The partial payments are based on their most recent NYSLRS retirement estimate and usually make up 90 – 95 percent of their final benefit. Partial payments are paid by check and mailed to the address we have on file for the retiree. With the exception of accidental death benefits, NYSLRS members may name any person, trust, or organization as their beneficiary to receive death benefits. It doesn’t have to be a family member. Accidental death benefit recipients are outlined in the law. 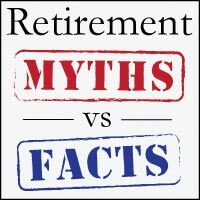 Members can apply for retirement as soon as they meet the eligibility requirements of their retirement plan. NYSLRS does not administer health insurance programs for its retirees. We deduct premiums from a retiree’s monthly retirement benefit to pay for their health insurance if we’re told to do so by their former employer. This isn’t the case. The New York State Legislature (not NYSLRS) enacts retirement incentive programs. Incentives are approved by both houses and signed into law by the Governor. NYSLRS administers programs that are signed into law. Check out your plan publication to learn more about your benefits. You can also visit our website for more information. Content last revised May 27, 2016. This entry was posted in General News, Members and tagged Accidental death benefit, beneficiaries, beneficiary, benefits, Civil Service, Death Benefits, ERS, Governor, health insurance, Information is the Key, know your benefits, Legislature, members, myths, New York State & Local Retirement System, NYSLRS, partial payments, pension, PFRS, premium deduction, Preparing to Retire, retirement, Retirement Facts, Retirement Myths, retirement planning, Social Security, top 5 list on May 11, 2016 by NYSLRS.